Developer: GameCoder Studios; Renderfarm Studios. Released: September 2016. Genre: Puzzle. On paper, Attractio sounds an inviting prospect. Combining the deadly game show aesthetic of The Running Man with the physics-bending cleverness of Portal, this Mexican-developed puzzler should have been something to shout about. On Vita however, it’s an exercise in frustration, hamstrung as it is by convoluted level design, sluggish controls, and a horrendous, ugly game engine. 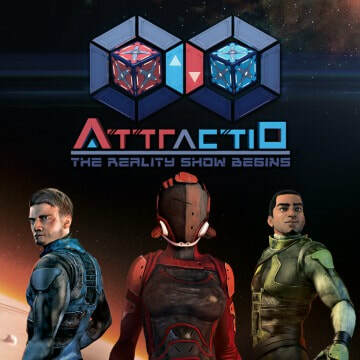 Attractio sees three very different personalities competing in a sequence of deadly televised trials, pitting their wits against some daunting obstacle courses. 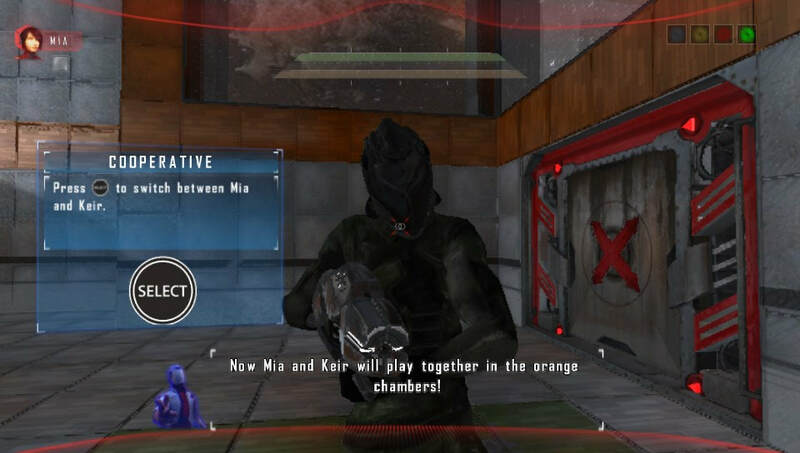 Mia, a Martian policewoman, can switch gravity, essentially inverting levels top-to-bottom. Kier, audience favourite and everyman, is armed with a rather swish gravity device known as a Shifter gun, which can send blocks in various directions, or help lock them to a surface. Dalek is the wildcard; a convict desperate to earn his freedom, his levels focus on box manipulation and the utilising of switches. As the levels jump between the three, you’ve little snippets from the announcer, as well as attempted hacks by a freedom fighting group who wish to convey to the contestants their own agenda. You’ve gotta love irony. It may be called Attractio, but this definitely isn’t a case of nominative determinism: it’s the single ugliest title I’ve come across on Vita. Normally, this wouldn’t be considered a make-or-break factor in a puzzle game, but the levels look dim, crude and ill-defined. 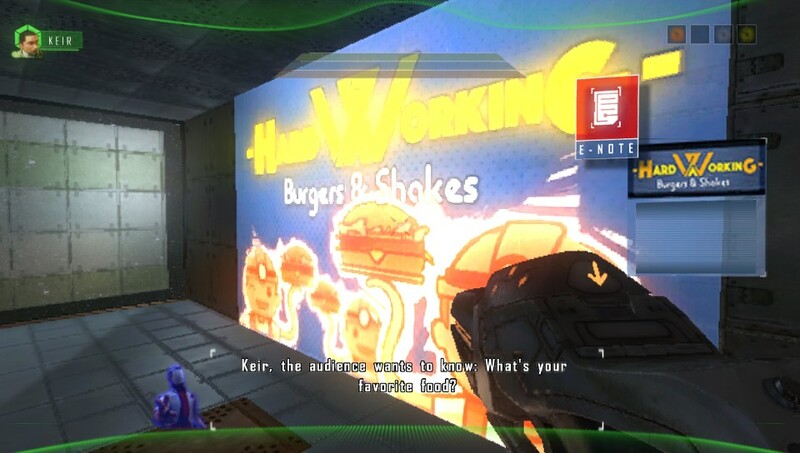 Closely emulating the PC version’s level design is a commendable goal, but no allowances appear to have been made to accommodate the piteous performance of the engine used for this portable version. When precise movements are necessary, or the player has to focus on very small gaps or the far distance, it fairs very badly. Whilst it’s easy to blame the Vita for ports that feel less than whole, it’s important to remember that the likes of Killzone: Mercenary have proven that a game can look and run to an excellent standard, even when faced with sizeable environments, so the hardware is not in question. It’s all the more baffling then that Attractio, with its comparatively confined, small levels, minimal visual effects, and a complete absence of A.I., can run in so jerky a fashion. The controls are awful, with characters excessively slow to respond, and prone to overcompensating with lurching movements, and the jump function is about as hopeless a thing as you’ll see in modern gaming. The game engine therefore scuppers what would have been, in all likelihood, a middling game. Some of the levels capture the interest and, provided you can overlook the hobbled gameplay, make for some intriguing brainteasers. It’s extremely taxing at times though, with too much meticulous planning required to make for an enjoyable challenge. I found it was possible to labour on certain levels for an entire session without making the merest hint of progress. When the inevitable happens and you realise “life’s too short, I’ll seek out a guide”, the solutions you’ve been missing rarely signal a sigh of epiphany, an “ah! That’s what I missed!”, and are more likely to leave you aghast. 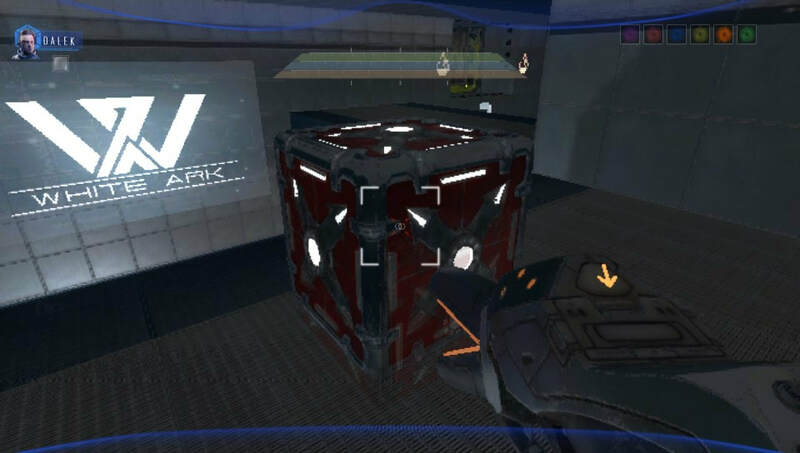 The “Trapped Box” level midway through the adventure is a horrible experience that’s equal parts unfathomable and unplayable. That’s the trouble with Attractio, and why it fails on Vita. It’s a game that wants you to seek out unlikely or obscure conclusions to puzzles, but as the controls are so rickety and staying alive becomes a chief priority amidst dangers so often self-inflicted, you’re naturally disinclined to be adventurous. It’s extremely frustrating, even with checkpoint devices, and it says a lot that a bunch of the trophies are attained either through specific or persistent dying. Portal 2 took a smart idea, and with the help of quality design, made the player feel clever. Attractio does the opposite, its doesn’t make good on its promising concept, leaving the player feeling distant, disillusioned, and ultimately unfulfilled. It’s presentation does little to lighten the mood. 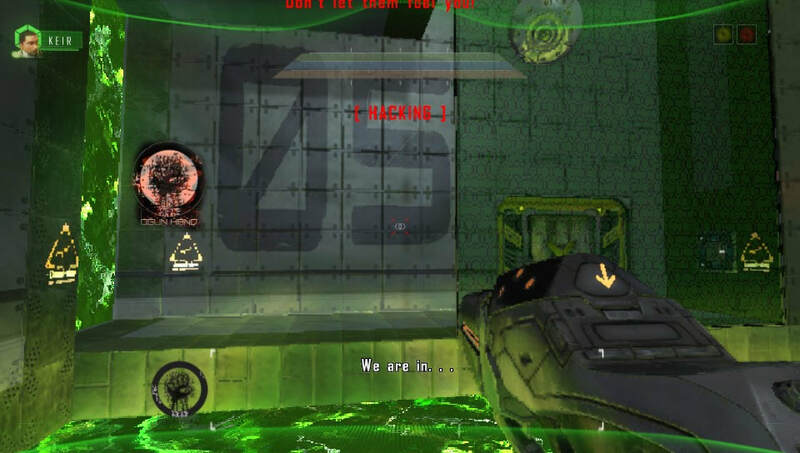 As well as carrying the general veneer of a low-end PlayStation 2 game, the levels are depressingly dull to explore, with an almost-total lack of visual variety bar the occasional advertisement board. You know things are bad when you’re wishing for more adverts. The voicing leaves plenty to be desired too. It’s hard to say what’s worse: Kier’s cringe-inducing attempts at conversation; Mia’s wooden, “gimme a break” attitude; or the announcer, and literally everything he says. The music proves a solitary highlight, managing to inject a modicum of ambience into the proceedings, though it’s likely you won’t notice it for the most part. In some other life, it’s plausible Attractio runs at a decent frame-rate and with nippy controls. The problem is, it doesn’t accommodate for just how awkward the Vita edition is to navigate. The challenge mode (don’t get too excited) simply sees you tackling the story levels against the clock, but even the briefest of levels prove near-on impossible to beat time-wise, as you see time racing away as your character lurches along in slow-motion, ruining the remainder of the experience. Attractio offers just shy of thirty levels, but whilst there’s some co-op levels late in the day that add to the complications, the reality is, all enjoyment has evaporated by around one-third distance, leaving nothing but a miserable struggle between player and handheld. It’s a shame, games need new ideas and innovative hooks, but they have to be implemented correctly. Attractio’s difficulty proves alienating, whilst its sheer lack of build quality means, on PlayStation Vita at least, it’s almost impossible to enjoy.